Strangford MP Jim Shannon MP has spoken out against Universal Credit and Welfare Reform warning Government that the impact upon those less well off and already struggling will intensify. Speaking at Westminster Mr Shannon said; “in my constituency of Strangford, Housing Benefit applications are increasing between 10 and 15%, and extra staff have been employed by the NIHE and even with the extra staff applications can take up to 6-8 weeks or even longer for difficult applications. 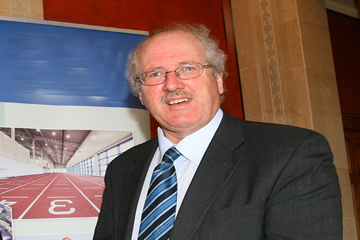 Strangford MP Jim Shannon expresses deep concerns about the benefit reform process. “The implication for landlords is critical. Payments being reduced will mean that rental accommodations will become unaffordable as tenants cannot make up the difference. While we all acknowledge that change is necessary, I feel the impact upon those on the low income bracket will be greater than they can maintain. Housing Benefit in particular means that many in private rented accommodation could well find themselves homeless and on the street while Housing Association and the NI Housing Executive are quite unable to accommodate these people. Therefore, we are looking at a section of people who are stuck in the middle.